Maybe I drained it a little too far? Bubble, Zap, Puff, Bang and Blow. Your Tales of a Little More Than a Puffy Battery. 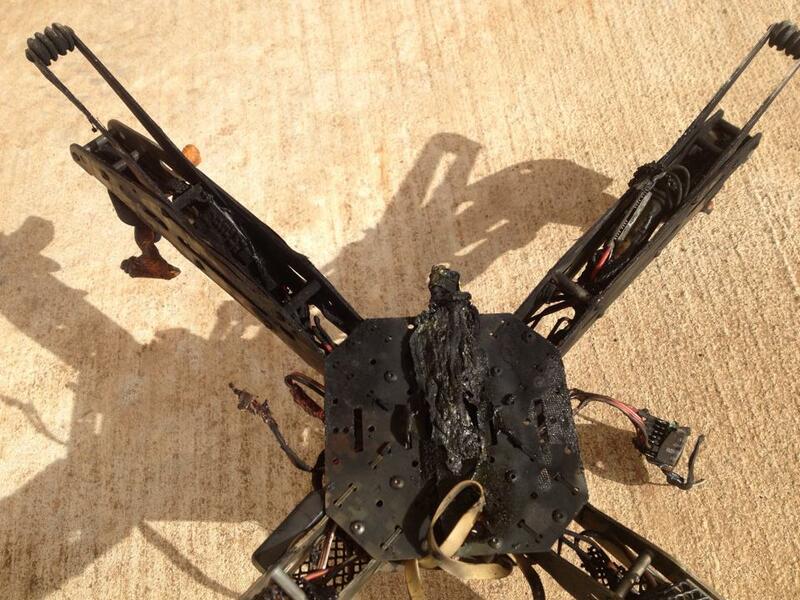 Hi Joey here from R/C Engineering Magazine.Recently on our page I had asked viewers about their stories of batteries incidents ending in fire and explosion! I wasn't expecting very many responses, but boy was I wrong. Plenty of people stepped forward with tales of fire, smoke and destruction, and some maybe a little luck. So that got me thinking, what is the trend? Where does this happen the most? On the charger, in the air or between bits of balsa and a rock at high velocity? I want to hear your stories, see your pictures and even a video or two. It's mostly for fun, but partly for data. Haven't had the problem yet... I had a Zippy 3S 2200mAh once start to expand on the middle cell, and I had just enough time to take the pack apart and put that cell in a bucket of salt water to discharge it before punchering the casing... turned the other 2 cells into a 2S for my MPX radio! I realized after I posted it I left out a "puffying only" choice, and I don't see anywhere to edit the pole. Thank you for your comment. This is my first post on the forum, so I'm still getting used to where the controls are. People are more than welcome to share their stories of puffing as well. There should be a choice for, "racing Sky Surfers on the gym floor of the school where you teach." I was transferred to the high school at the end of that year. I can't say for sure that stinking up the half the school had anything to do with that, though. There should be a choice for, "racing Sky Surfers on the gym floor of the school where you teach." Ummmm.... Errrr.... Jeopardy maybe, and the question is "How to burn down your school effectively"? Here's a really good story somebody posted earlier.